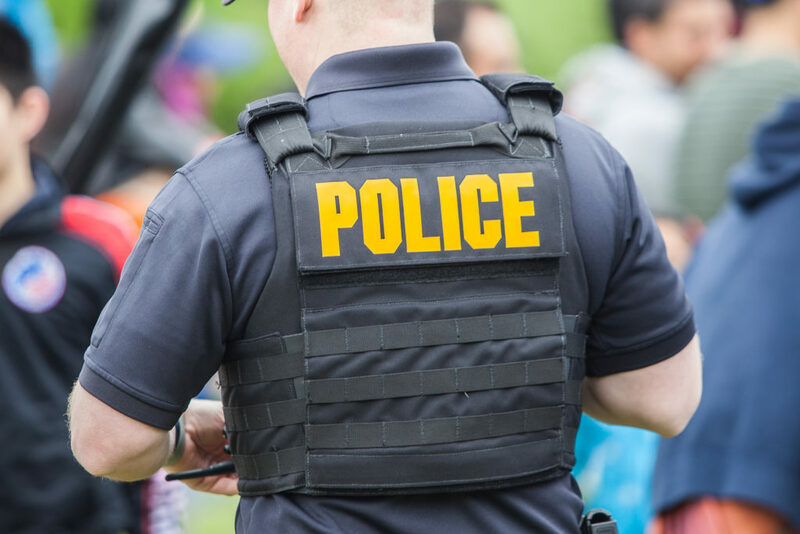 The majority of Americans (57%) report that they have “a great deal” or “quite a lot” of confidence in the police, a return to the 25-year average of reported confidence according to a Gallup poll. But young people’s confidence in the police has dropped significantly since 2012 – from 56% in that year to 44% in 2017 among adults ages 18 to 34. Meanwhile, a growing number of campuses are using sworn, armed police officers as part of their campus law enforcement, especially in public universities. In the most recent research by the Bureau of Justice Statistics, 75% of campuses used armed police officers in the 2011-2012 academic year, up from 68% in the 2004-2005 school year. About nine in 10 public campuses (92%) and four in 10 private campuses (38%) used sworn police officers in the 2011-2012 academic year; most (86%) had the power to make arrests beyond campus boundaries. Take it outside. If the police come to your door, step outside to speak with them. Ask what they want to discuss, but don’t get pulled into a substantive conversation. Even a seemingly harmless question like “When did you get home last night?” could hold unforeseen significance. Limit your responses and don’t think that you can talk your way out of – or into – anything. Stay calm and polite. Nothing is gained by being rude or obstinate. The police have a job to do, regardless of whether you cooperate. Don’t try to “play lawyer” – challenging the police about their probable cause won’t stop an investigation already in process. Ask for a lawyer. Tell the police that you need to contact a lawyer before speaking with them. This is your right, and one that the police are used to accommodating. Asking to talk to your parents is not a right if you are no longer a minor, and the request does not trigger any legal protection. But remember that your parents can still be vital in providing support throughout any judiciary process. Yes, they’re real. As that BJS research shows, a majority of college campuses use sworn, armed police officers, but too often students don’t take them seriously, buying into the misperception that they’re just security guards or aren’t “real” officers. Campus police are deputized officers capable of investigating crimes, making arrests and presenting cases for prosecution. Take them just as seriously as you would any other legal authority. Tell the truth. Don’t lie or tell the police what you think they want to hear. Even a small white lie could undermine your future credibility. If you’re uncomfortable saying anything, practice your right to say nothing. To learn more, contact Susan Stone at scs@kjk.com or 216.736.7220 or Kristina Supler at kws@kjk.com or 216.736.7217.